The Municipality of North Grenville and the North Grenville Chamber of Commerce are excited to announce that they have partnered to host the first annual North Grenville Breakfast Banquet. The Banquet will be held on May 18, 2018 from 7:30 a.m. to 10:30 a.m. at the North Grenville Municipal Centre. This event will replace the annual Economic Development Appreciation Breakfast hosted by the Municipality in previous years. The Chamber of Commerce is now accepting nominations for these awards. Nomination forms are available at www.northgrenvillechamber.com. If you’d like to nominate a person or business, email Sarah Spear at by Friday, April 27, 2018. 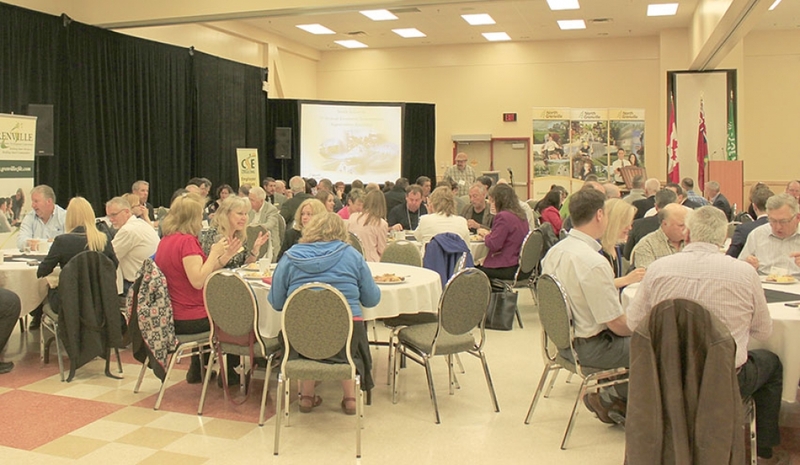 The Municipality and Chamber of Commerce invite residents and business owners from North Grenville and the surrounding area to attend the Banquet to help celebrate the excellence, success and innovation of our business and community leaders.